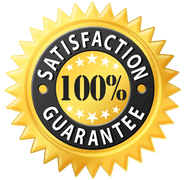 Finding a great commercial kitchen cleaning service in the Denver, Colorado area shouldn’t be hard. ProCo Hood Cleaning will help your restaurant shine with our cleaning services. 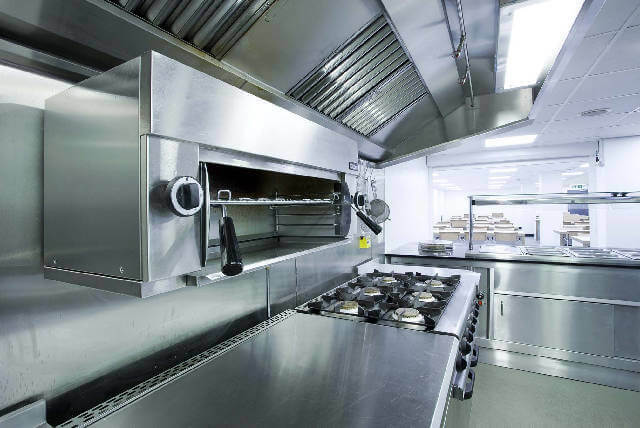 Though we specialize in restaurant kitchen hood cleaning, we can offer more. We will gladly offer our additional cleaning services. 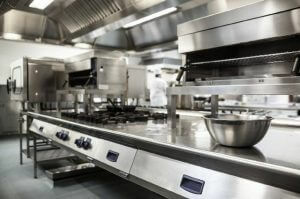 A commercial kitchen can accumulate grime quickly. It’s totally normal. Unfortunately, however, grease build-up can be catastrophic. It’s important to get the grease cleaned out of your hood system to prevent a grease fire from happening. It’s important to get the grime and grease off of the walls, ceiling, floors and equipment for the same reason. Although a grease fire is quite unlikely to start on your kitchen walls, the build up of grease and grime is highly unsanitary. Not only will a foul odor invade your restaurant, but it will attract unwanted pests. We already know pests can be an issue with the constant shipping of food in cardboard boxes, so we wouldn’t want to give them any more invitation. So what can we offer you? A really great commercial kitchen cleaning service, that’s what. We can ensure that your restaurant is sparkling like new by the time we leave. 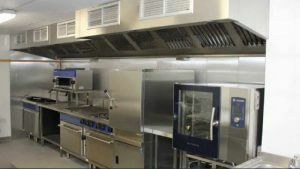 We can use the latest, most innovative cleaning technologies for commercial kitchens. ProCo Hood Cleaning can apply a pressure washing and steam cleaning technologies to scrub off the impossible. We use only FDA-approved chemicals to clean your kitchen equipment. You won’t even recognize your clean kitchen equipment! WE ARE EDUCATED IN KITCHEN EQUIPMENT CLEANING. Believe it or not, kitchen equipment cleaning is a fine art. Professionals must be educated on what “up-to-code” means. Codes are ever-changing in the food industry. We must always be aware of this so that we can ensure that our clients are getting the proper cleaning every time. We are always on the look out for new regulations and kitchen cleaning equipment that meets the standards. Not only are we aware of the ever-changing codes in the food service industry, but we are also educated on the equipment. And we mean all types of equipment. Those kitchen hood systems aren’t easy to take apart and put back together. As professionals, we can safely disassemble your equipment and put it back together. Maybe this wasn’t what we dreamed about when we were kids, but now it is. We do this because we love to help other businesses succeed. Our services will help you shine in the Denver area. We are great at what we do! We’ve mastered the art of kitchen equipment cleaning. People like you are the heart beat of our business and we strive for your satisfaction. Don’t get bat up by the next environmental health inspector that walks through the door. Let’s do business together. Call us today.